Happy Friday! 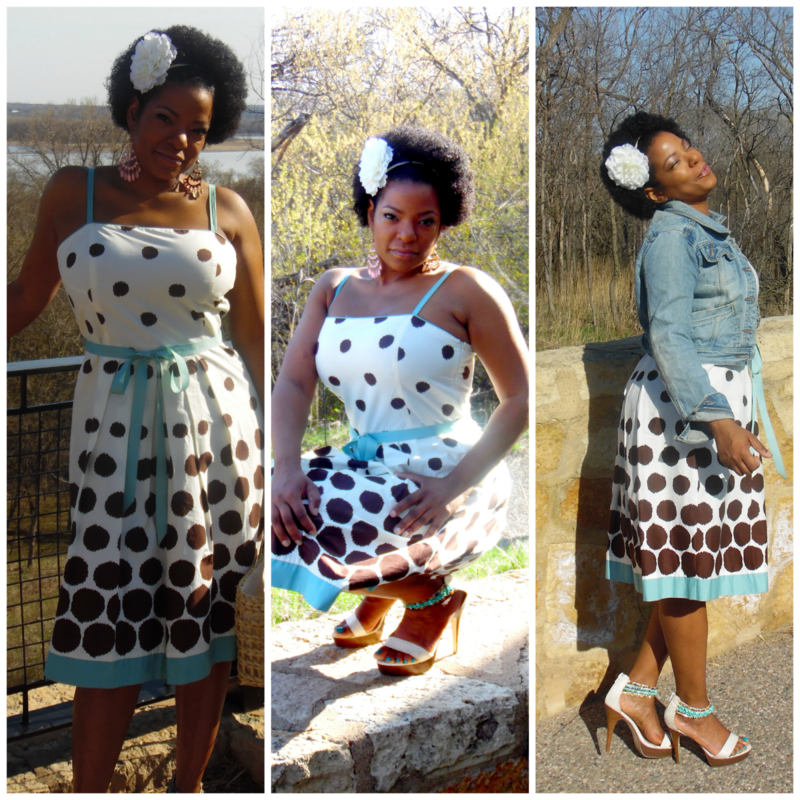 I met this month's featured thriftanista via Thriftanista Social Club. 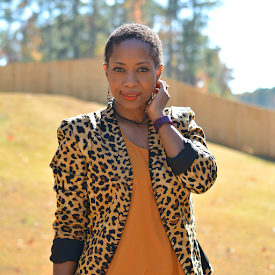 Tracey is a seasoned thrifter with a great eye for styling with color and finding quality treasure. She's also the owner of online resale shop, Rebound Boutique. Let's check her out! The places I choose to shop is more about customer service and being in a clean organized environment...Salvation army - Bloomington Minnesota, Goodwill St. Louis Park Minnesota, Value Village (vintage only) Brooklyn Park Minnesota. Honestly everything I buy I feel like I must have!! My most recent would be...never worn Michael Kors loafers super comfy. Prefect shoes for thrifting - $6.99 Goodwill. My style is constantly evolving. As I get older I get more confident in myself. I'm more willing to try different things. Things more suited to me, my personality and even my mood. I no longer worry about what's on trend. I love clean classic cuts that offer versatility and I absolutely love clothing that accentuate femininity. 10 minutes to shop what aisles do you run to? The first aisle I go to in any store is always dresses. It doesn't matter what season next skirts then suits. I would definitely have to say 90%. I hardly ever shop retail. The only things that I pay retail for are white blouses and shoes! I worked as a retail manager for over 20 years. The markup is ridiculous. The turnover of what's in is so quick. I also have a real problem with the retail stores telling me what I should be wearing and when. Thrift Stores are a Smorgasbord of all the styles and designers I love. It's economical and environmentally responsible. I try not to spend more than $50 a haul but for some reason it always seems to change once I get to the checkout. As far as what I'm willing to spend any one item that's completely based on brand and condition. What's your thrifting "white whale"? LMBO!!! Pants unless they're dress pants or a part of a suit I never have luck ever!! Do you have any thrift shopping tips you'd like to share? In my downtime I use Polyvore and Pinterest. They help me to create different looks and gives me more of a idea of what I'm looking for. I like to shop late evening or early morning. Right when they open or right before they close. That's when the stores are cleanest and most organized so you don't spend a lot of time. I also never bother going through every single thing on the rack I stand back and I look. I compare fabrics textures and prints and those will be the only items I touch. Quality always stands out amongst garbage. Last but not least if you think you're overpaying for an item Google the brand and see what it or similar items cost retail and what it sells for used on eBay or Amazon then go from there. Love the loafers and what you said about retail. It is ridiculous. I'm new to thrifting, and I already follow some of your advice and will keep the rest in mind (I do usually stand back and look at a rack AND Google brands). Pants are hard for me to find in any store. I swear, they are all made for women with no rear ends or hips! I was standing in my closet today looking at all my thrifted finds from the last month (when I've made an effort to thrift), and I thought, "How different will this look next year?" I have some gorgeous black skirts for fall that make me smile...though I'm willing to wait to wear them! I'm with her! After spending time in retail, it gets crazy with how much prices are marked up for items you can get it great condition at resale shops. Once I started thrifting, it became harder and harder to pay full price for stuff I knew I could get for less. Some of the best items in my closet now are from resale shops. Love it and love her! Gorgeous! I will once again lament the lack of quality thrift stores in my area. Goodwill now boasts a sign that they have two permanent staff members devoted to authenticating finds and that they will price accordingly. GAH! What lovely clothes. I need to check out the Goodwill and see what I can find!! !